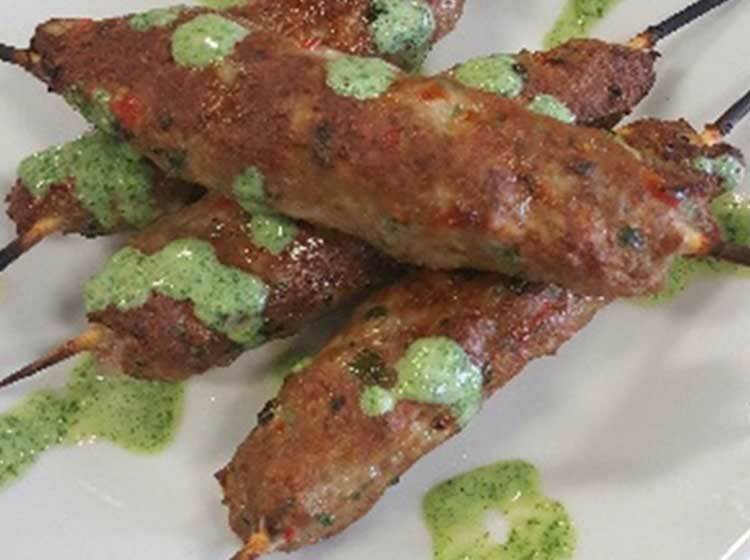 These kebabs are quick and easy to make and they freeze well. Place all the ingredients in a mixing bowl, except coriander leaves, mint, pepper and butter or oil. Knead the Ingredients well until fine. This is important as more the meat is kneaded, the tenderer the kebabs will be. Add the coriander, mint and pepper and mix well. Cover and chill for 30-40 minutes. Preheat the grill to high. Have 2 tbsp oil or melted butter ready in a bowl.